In 1513, Giovanni di Lorenzo di Piero de' Medici (1475-1521), son of the mythic Lorenzo il Magnifico, was elected Pope Leo X. Giovanni had inherited his family's refined interest in, and zealous support of, the arts: literature, painting, sculpture, architecture, and music. But of all of these, Giovanni most favored music, for which his passion was legendary among contemporaries. The musical life of Leo's court was unimaginably rich and vibrant, as innumerable eyewitness accounts confirm. 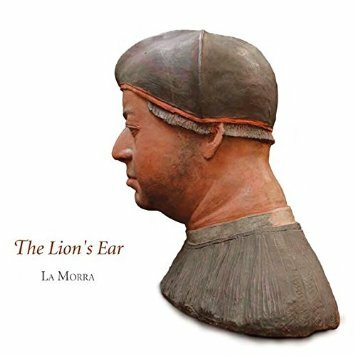 This recording aims to bring this world acoustically to life and illustrate the range of practices typifying Leo's own musical experiences. It is a tribute to a rare and extraordinary patron of music himself a composer and musician, who occupied a singular position at the very summit of the universal ecclesiastical hierarchy. It is not only deeply inspirational but also won the Noah Greenberg Award given annually by the American Musicological Society. 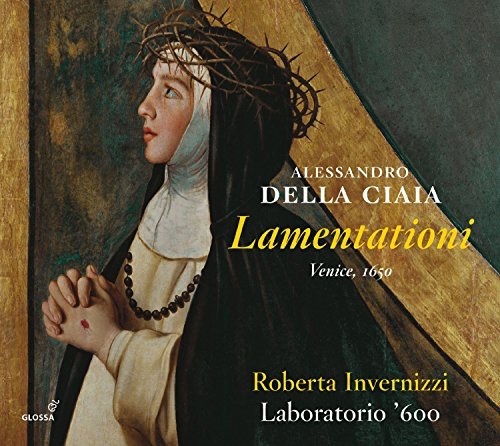 The nobleman slash amateur composer Alessandro della Ciaia's Lamentationi gives soprano Roberta Invernizzi the opportunity to display her glorious virtuosity in a very spiritual setting, backed by Franco Pavan's Laboratorio 600 in an intimate and intense Passiontide score from mid 17th-century Siena, 1650 to be exact, set to the Lamentations of Jeremiah. That music of such extraordinary beauty and intricacy was written for the nuns at convents throughout Siena meant they must have had equally extraordinary musical talents, both in singing and in playing instruments such as the organ, lute and theorbo. It was in fact for one such convent that Della Ciaia wrote the Lamentationi for the Holy Week's matins services, scored for a solo soprano possessed of a very wide range and capable of achieving his demanding technical effects. Roberta Invernizzi responds magnificently to the text and its description of the grief over the fall of the city of Jerusalem and the terrible fate of its people. Alessandro Della Ciaia was himself a noted player of the archlute, and his instrumental facility is evident by the wonderful music he gave to not only the archlute but the harp, organ and theorbo. Franco Pavan has chosen to intersperse the lamentations with toccatas by Michelangelo Galilei, Claudio Saracini and Vincenzo Bernia as well as Pavan's own reworking of a motet by Della Ciaia. 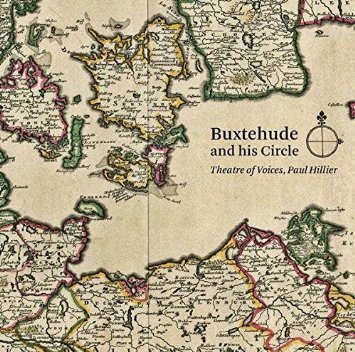 In latest release in the Danish CaCapo label's seemingly eternal yet always engrossing, comprehensive recordings of their great national composer, Buxtehude is joined by Christian Geist, Nicolaus Bruhns, Franz Tunder and Kaspar Forster in the kind of music that was heard and shared within a musical circle of time, place, friendships, teacher-pupil relationships and even family membership; these composers from Northern German musician families, part of a network all of whom had worked in or migrated to Scandinavia in the course of the 1600s, spoke a common musical language, and when the beauty of their music matches a text that may speak particularly to you, the emotional effect can be quite overwhelming. 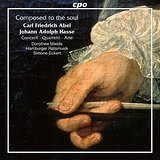 In this rather remarkable release, which would be extraordinary for most other labels than CPO, soprano Dorothee Mields joins forces with the gambist Simone Eckert and her Hamburger Ratsmusik for an entertaining program featuring arias, quartets, and concertos by Carl Friedrich Abel and his contemporary Johann Adolf Hasse. If you've forgotten so soon, Abel served as chamber musician to the King of Poland and in the Dresden court chapel for ten years prior to earning international renown as a soloist and composer in London. The music has been chosen to focus on the gamba as a solo instrument, especially in the two songs with Mields. A fascinating sidelight to this release is that Laurence Sterne, the famous author of Tristram Shandy, played the gamba as a hobby and was a friend of Abel, the most famous gambist of his time. In his works Sterne repeatedly mentioned Abel as the gambist who "moved his listeners to tears." And another contemporary called Abel, the "Laurence Sterne of Music - one wrote, and the other composed to the soul." Finally, this is not at all early music, but the Michael Haydn Concerto for Viola, Organ and Orchestra is so one of my all-time favorite pieces, and it is recorded so rarely, that I could not resist. 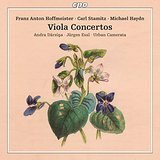 The other two concertos by Carl Stamitz and Franz Anton Hoffmeister are pleasant, but the Michael Haydn is totally brilliant in a Woody Allen viola and organ way. And it's played really well by the Australian-Latvian virtuoso Andra Darzina and organist Juergen Essl with Darzina's Urban Camerata. If you get turned on to the Michael Haydn, there is one great analogue recording also worth hunting for: with Stephen Shingles, Simon Preston and the Academy of St. Martin in the Fields and Neville Marriner.